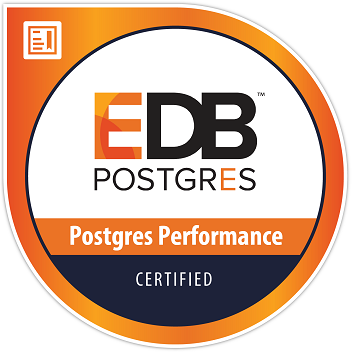 Earners of this badge have successfully completed the EDB Postgres Performance Optimization course and have passed the Postgres Performance Certification exam. These provide a framework in which learners can apply proven strategies and best practices for performance optimization in the Postgres environment that they support. Specific skills acquired include knowledge of various server tuning parameters, OS considerations, SQL query optimization, database maintenance and performance monitoring.